In this article, we’ll show you how to make a Docker image of a Laravel application, push it to the registry, and use Docker in Continuous Delivery. How to dockerize a Laravel application? For the purpose of this guide, we’ll use a simple calculator written with the Laravel framework. 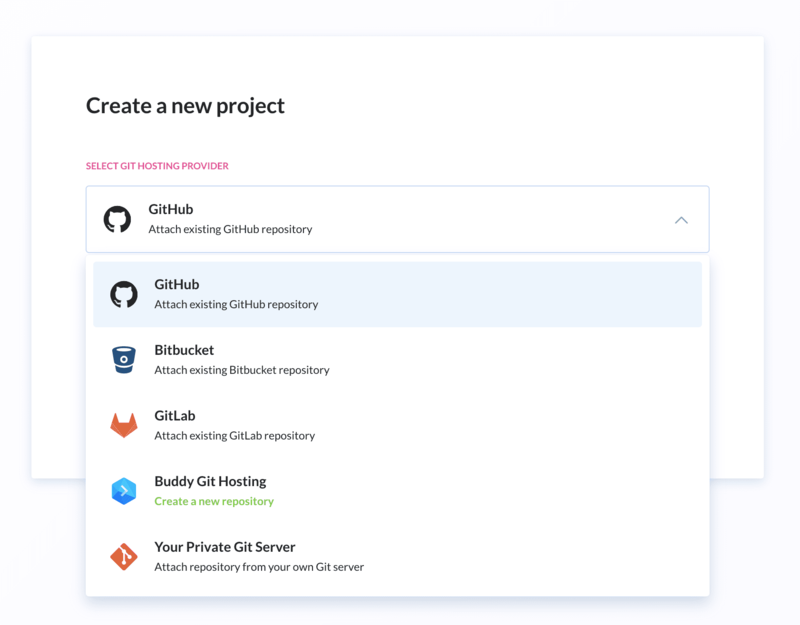 Just fork github.com/buddy-works/laravel-first-steps from our GitHub profile and run it with php artisan serve. We have covered the process of writing and running the calculator in this guide. We shall run the calculator in a Docker container. For that, we need a Dockerfile with the description of the Docker image that will run the Docker container. Seems complicated? Fear no more, we’ll walk you through the process step by step. Just like we mentioned in the introduction, Docker images can be inherited from other users. In this case we shall PHP in version 7. Docker images are shared through image registries. The most popular is Docker Hub. Using official Docker images guarantees the template is well written and prepared. You can browse the list of all official Docker images here. These lines cover the installation of things that we miss: Git, Zip, Unzip and OpenSSL which are required to install Laravel. Next, we install Laravel and run PHP modules: PDO and mbstring. Set the working dir in the container to /app; copy the files of my application to the /app directory and run composer install. Use CMD to set the command that will be run launching the Docker image. In our case, we’re going to serve the application with php artisan set to port 8181. Expose port 8181 outside the launched container. This is the same port our application is going to use. $ docker build -t my-first-image . The -t parameter is the tag of the Docker image. The dot at the end of the command means that we’re going to build the image in the context of the parent directory. In other words, the files that will be copied to the /app directory in the container are files from the contextual directory of the build (in this case: repository directory). The application is now available from your browser at http://localhost:8181. $ docker build -t [USERNAME]/my-first-image . Of course, the image needs to be downloaded first, so if you’re running a business from a secret underwater cave in Antarctica with slow internet connection, you may consider setting up a private registry for better performance. So far we’ve covered the technical process of building and sharing Docker images. Here we’ll share some concrete use cases of using Docker in practice. The more advanced the project, the more dependencies and documentation it involves, which considerably prolongs the process of delivering the application. We won’t mention the dependency hell when you’re trying to develop two applications with different requirements on one computer. With Docker, you don’t need to write documentation because the whole work environment is defined in the Dockerfile and safely stored in Git. This means you can go back to any revision of the file in the repository to see how your project evolved. Next, Docker is all that you need to install on your computer. Everything else – frameworks, libraries, dependencies – is stored in the Docker image. 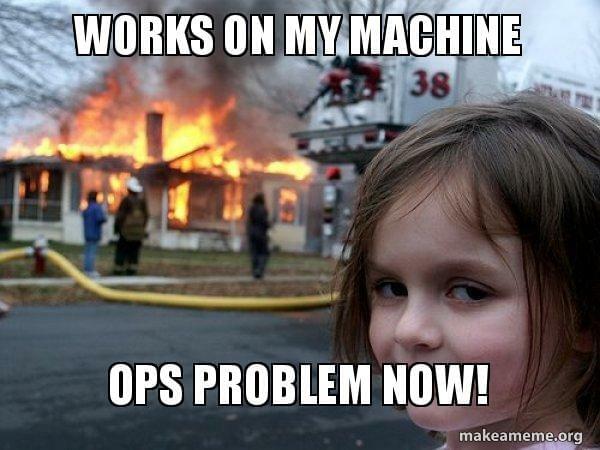 What you do is run git clone, docker build, and docker run and the app is already running on your computer. What’s more, you can create a Dockerfile that will serve the application directly from the directory where you code, so that you won’t have to rebuild the Docker image on every change (we shall cover that in a separate guide). “Works on my machine” – one of the most popular phrases in discussions between testers and developers. The thing is, 99% of this kind of problems result from compatibility issues between different environments in which the application is run. One developer codes the application in Linux, another one on Mac, and Q&A runs the tests on Windows. With Docker, the environment is exactly the same across the whole team: the app is forwarded to Q&A in the form of a Docker image pre-configured in the Dockerfile. Each of these environments is assigned to a separate branch in the repository. When the work in the development branch is over, it is merged to the staging branch, where Q&A run their tests. Finally, the staging branch is merged into the master (production) branch and the application is ready to be reviewed by the client. Additionally, each pipeline can be freely expanded with additional actions. For example, you can run unit tests before building the image, and Selenium tests once the app is already running on the server. Only then you can be sure your application is ready to be delivered to Production. Dockerize Laravel apps on every change to code.